Federal investigators have gathered enough evidence to bring charges in their investigation of President Trump's former national security adviser and his son as part of the probe into Russia's intervention in the 2016 election. 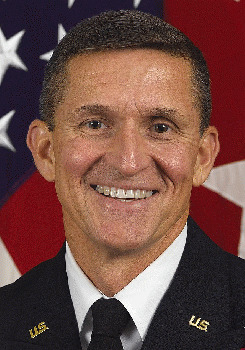 Michael T. Flynn, who was fired after just 24 days on the job, was one of the first Trump associates to come under scrutiny in the federal probe now led by Special Counsel Robert Mueller into possible collusion between Moscow and the Trump campaign. Mueller's team is also examining whether Flynn attempted to orchestrate the removal of a chief rival of Turkish President Recep Erdogan from the U.S. to Turkey in exchange for millions of dollars.